Trish Whelan is a Kundalini Yoga and Meditation Teacher, Reiki Master Teacher, a Shamanic Healing Practitioner and Sound Healing Therapist. 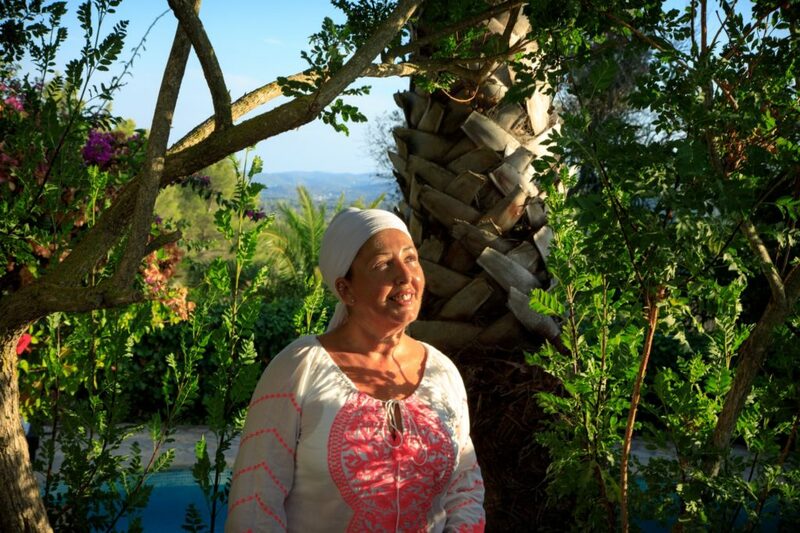 Trish lives in Ibiza and hosts classes and retreats from her home. A few years ago Trish gave me my first introduction to Kundalini Yoga, and this year I have been exploring the path of Kundalini and it’s teachings more recently. With over a decade of teaching the healing arts, I thought it would be a great time to invite Trish in to expand on her work before the year is out. Where is home for you, and what does it mean to you? 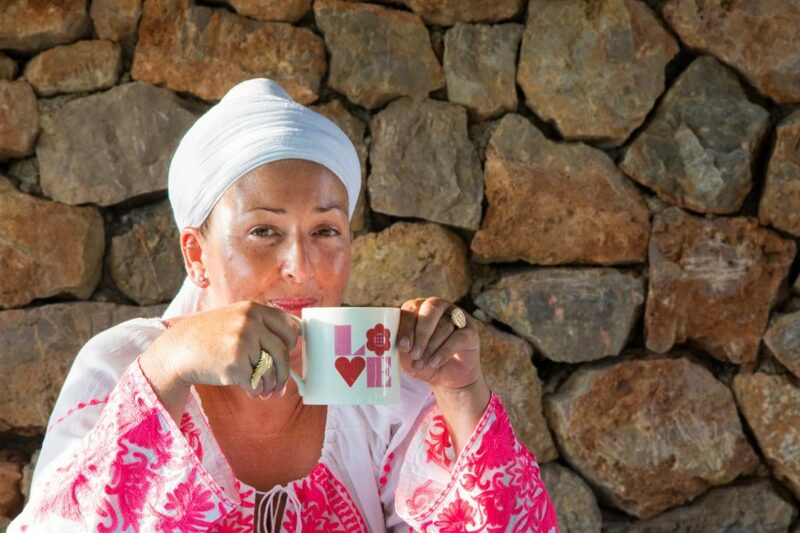 Home is in the hills in the north of Ibiza and for sure home is where my heart is. What drew you to living in Ibiza and why is it such a magical place? I fell in love with Ibiza within my first 24 hours here all those years ago in 2000. It’s a mystery why it’s so magical here, but I feel like it has a lot to do with the magnetic forces here. Es Vedra is said to be the third most magnetic spot on the planet. It FEELS different here to other places and magical things happen A LOT. What is your favourite spot on the Island? Benirras beach is my longtime favourite spot here and my favourite beach on the planet. It’s just so beautiful- it has a big rock called the queen of Ibiza that sits out in the middle of the cove – it’s gorgeous! What first led you to embark on your journey from the music industry into Kundalini? I came to kundalini yoga really because it made me feel a lot happier in myself, a lot more balanced in my life and in my job. I wanted to share this tool for managing life better with other people. I feel connected to myself, I find it easier to connect to other people and I feel really really happy a lot of the time. I had resisted the”women’s work” for a long time. To be honest, being in a room of only women wasn’t my favourite space, but I really do feel so inspired by so many amazing women in my life, my teachers, friends and students. I studied the teachings of the women’s camps in the 70s and I found the kriyas to be so powerful and so empowering. I want to share these teachings with women who are ready to really step up and be in their true and real power (no shoulder pads required!). It is the real vibration of connecting to yourself and your TRUE ESSENCE and sharing that. 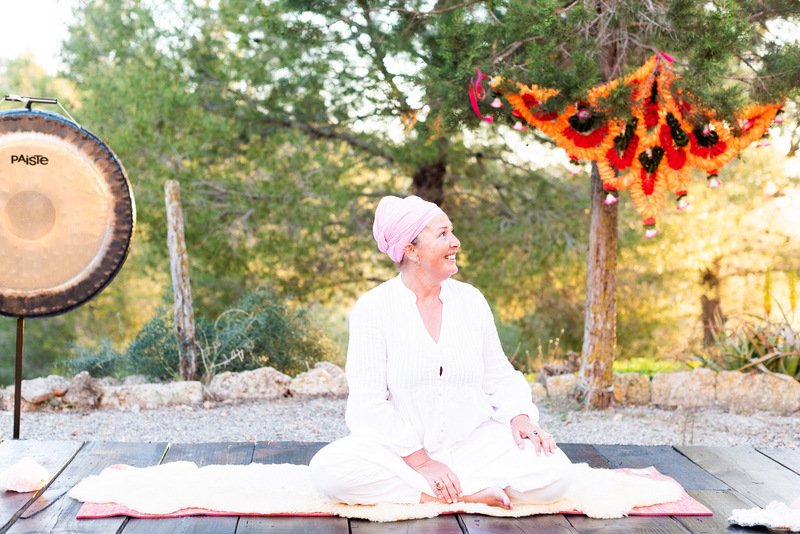 What key learnings or challenges have you undertaken in your work teaching Kundalini so far? Being myself and how I fit into this work, but I guess that’s always the way. The key learning has also been BE MYSELF. What are your other grounding practices? I love to swim, train and walk. I love to lie down on my huge daybed on the top of this mountain and look at the stars. Being humble is my favourite grounding practice. For me it all starts with healthy boundaries with giving for the joy of giving, sharing for the joy of sharing but always putting myself first in the kindest way. You can’t pour from an empty cup as they say so self care is taking the time every day to connect. I am a sucker for skincare- I’m actually just back from an amazing facial with a wonderful lady here called Marion Stone, and I love a bit of Erno Lazlo skincare – he was the first dermatologist and also skin doctor for Marilyn Monroe and Eva Gardner. It’s not cheap – but I’m worth it!! Hair is the constant challenge to find non chemical shampoo that actually works! The search continues on that one. Do you work with any other practices for your health and wellbeing? I have a lot of massage, I love craniosacral therapy and of course I LOVE LOVE LOVE reiki.